Plus, two easy changes you can make in your routine to be a more conscious consumer. 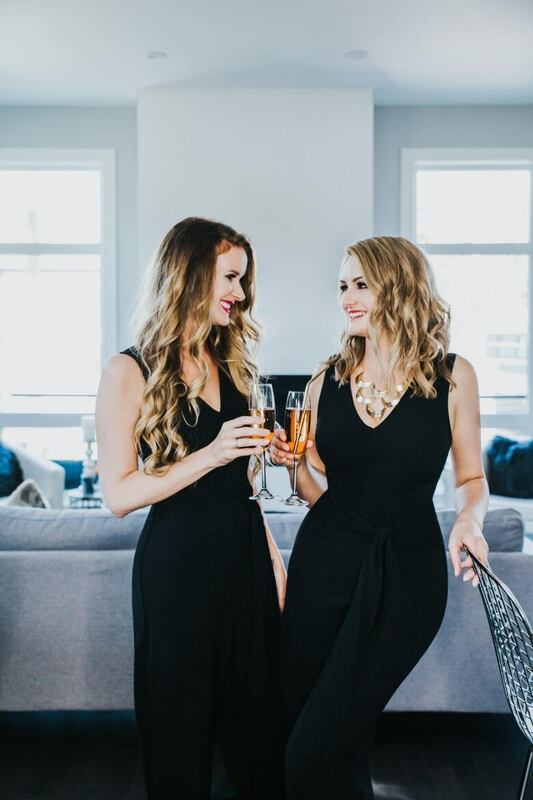 Long before using metal straws became trendy, Calgary-based Hayley McKenzie, Arden Teasdale and Allison Teasdale sought to create an eco-friendly lifestyle brand that was more than just selling paraben-free products. Their brand, Unwrapped Life, strives to reduce waste in consumers everyday routines by delivering plastic- and packaging-free products made from natural ingredients. We caught up with the team behind the brand to learn how it came to be, plus their tips and tricks to a cleaner beauty routine. How did Unwrapped Life come to be? Hayley: Prior to late night nursing sessions with my eldest child, I have never come across information related to plastic use, other than some products containing a bad thing called BPA, and I best avoid it. In fact, I naively thought that since I was stickler for recycling and I reused water bottles, I was doing my part. It wasn't until the viral video of the turtle with the straw stuck in its nose that I went down a rabbit hole of reading articles about plastic waste and waste in general. One day in the shower, I was staring at the plastic bottles that lined my shelf, mentally beating myself up over how they likely wouldn't end up getting recycled, even if I threw them in the blue bin. I happened to notice they all had one common ingredient near the top: water. It dawned on me then that solid shampoo must be a thing — there's no way I was the first person to think of getting rid of the water to create a concentrated bar of shampoo! I got to Googling that evening and found that yes, indeed, there were such things as shampoo bars! Sadly, all the bars I tried paled in comparison to the conventional shampoo and conditioner I was used to using. This led me and my best friend (and future co-founder) Arden Teasdale to research and formulate our own solid hair bars, ones that would work amazingly well on all hair types without the need for plastic. What products did you first launch with? 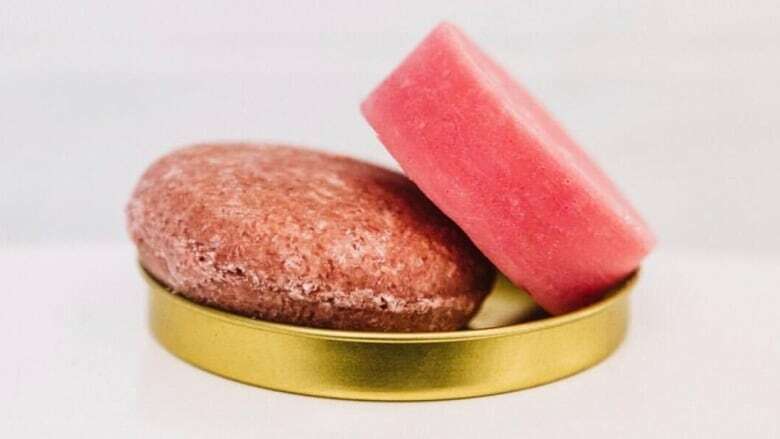 Hayley: Our first, and flagship product, is our solid shampoo and conditioner bars. We created these bars, so we would never have to use conventional bottled shampoo and conditioner ever again, thereby effectively eliminating plastics in our showers. We thought, if we could make a dent in the 552 million shampoo bottles ending up in landfills every year in North America alone, that would be a huge accomplishment. Arden: As a company whose main mission is to reduce single-use plastic waste and be as close to zero-waste as possible, we have spent a lot of time looking at eco-friendly packaging options, which is where we often see the biggest environmental impact of beauty and personal care products. As we continue to grow, we are also working with our suppliers to cut down on the plastic used in the supply chain by requesting the use of paper tape and packing supplies. We are working closely with our suppliers to educate and change their standard packaging practices to be more environmentally-friendly. It's a work-in-progress though, so when we receive packing materials that aren't ideal, we ensure we recycle or reuse and, in some cases, we've changed suppliers if they aren't ready to make positive changes. In addition to using Unwrapped Life products, what are other ways consumers can reduce plastic waste in their beauty and personal care routines? Allison: When it comes to make-up and other skincare essentials, look for products packaged in glass or aluminum (which are easier to recycle) or seek out companies that use bamboo or other eco-friendly packaging materials. There are some amazing beauty companies out there now that will refill a bamboo compact or palette for pressed powder products, which goes a long way to reducing single-use packaging waste. What's next from Unwrapped Life? Allison: We're currently working on a baby line, including a shampoo bar, a leave-in detangler bar and some organic textiles! We're also getting very close to releasing our line of bamboo toothbrushes, which we are super excited about. Beyond that, keep your eyes peeled for deodorant options, a hair bar specifically for curly hair and some other unique products like a dry shampoo bar.